Susan Kuchinskas reports on the first day of the industry’s top technology conference. • TU-Automotive Detroit remains the locus for headline events, high-profile speakers and announcements. • TU-Automotive Cybersecurity delved into this increasingly critical area. • TU-Automotive E-Mobility expanded on the conference’s continuing focus on this expanding area. Strategy Analytics Director Roger Lanctot keynoted the conference with a look at how valuable access to the car and its driver will be for Amazon an Alphabet. “The A-Team is coming,” he said. “They recognise that the greatest unrealised market in the world today is what’s happening in vehicles.” Connected and autonomous vehicles is now a robust sector and the show attracted more than 3,000 attendees, all eager to learn, exchange ideas and network. Mobility has become a central theme, not only of the conference but also among automakers, suppliers and technology companies and security is now acknowledged to affect every company. As a panel on Security and the Supply Chain Ecosystem made clear, each partner in the chain needs transparency and, more important, confidence that security practices were followed. Unfortunately, there is not yet one accepted standard for securing the supply chain and all its elements. Cason Grover, senior group manager, vehicle technology planning, Hyundai Motor America, updated conference attendees on the evolution of Hyundai’s connected car platform. With generation two of Blue Link, the carmaker took the platform in-house. Since then, it’s integrated with wearables, Alexa and Google Assistant. In the 2019 model year, all models will ship connected. 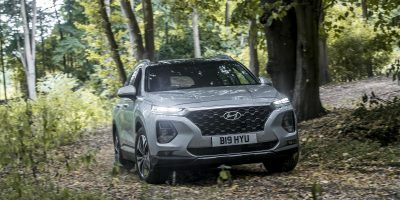 Hyundai plans to launch its All-Access Programme to allow third-party services. It’s also linked up with Xevo, an automotive telematics provider, to enable payments from the car’s screen. In a demonstration video, a driver paid for gas and takeout food by touching buttons on the screen. A partnership with E-Risk Services will provide driver feedback and potentially lower rates on insurance. Zack Hicks, EVP and chief digital officer at Toyota Motor North America, and chief executive officer and President at Toyota Connected, gave us a look at what autonomous vehicles may become in 2030: mobile marketplaces that meet you when and where you want them. For example, you might order a sneaker van. It rolls up, you try on shoes, buy a pair, and off it goes. You could hail a mobile office to get work done while you travel, or, if you need a quick birthday gift, hail a mobile fabrication unit that 3D prints the item on its way. The move to 5G will be a key enabling technology for autonomy, according to Vishnu Sundaram, vice-president, HARMAN International. “Infotainment and productivity will change the perception of travel, transforming the vehicle to an entertainment and productivity hub,” he predicted. He pointed out that 5G differentiators include high bandwidth, low latency and low power. 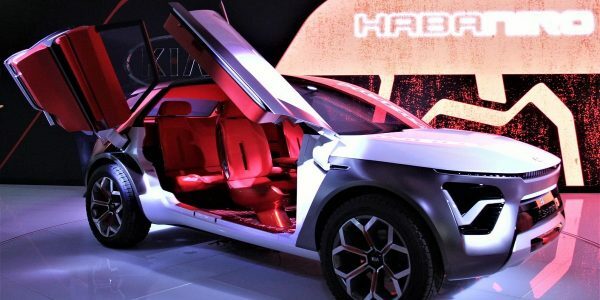 Energy usage is a critical barrier for autonomous all-electric vehicles, as Michael Ramsey, a Gartner research director, noted. While the dream is that EVs will improve our quality of life, charging represents a huge barrier, especially in mobility applications: Charging takes vehicles out of operation for too long, and there aren’t enough charging stations to support large fleets of EVs. An innovation at TU-Automotive Detroit 2018 was the Project Kairos Pitch Off, sponsored by PlanetM. Project Kairos is an exclusive start-up programme and community bringing together select investors and some of the most innovative start-ups on the tech scene. The first session, led by Mark Fitzgerald, associate Director, Automotive Technology, IHS Markit brought together Sean Simpson, investment manager, GM Ventures; Anil Rachakonda, director of start-up co-operations for atco-pace, Continental’s Startup Programme; and Alex Smout, principal of InMotion Ventures, to discuss trends in the auto tech and mobility sectors, as well as their individual investment approaches. The speakers agreed that there is no one investment model that’s best for every start-up, nor are they competing against each other. “The best investments have a good mix of financial investors, OEMs and Tier 1s. Look at what is best for a particular start-up,” Simpson said. A panel of expert acknowledged that, while consumer awareness and acceptance of autonomy have grown, the industry’s messaging to the public hasn’t always been optimal. For example, NHTSA’s levels of autonomy work for the industry but are confusing to consumers, according to Pete Bigelow, transportation technology and mobility editor for Car & Driver. 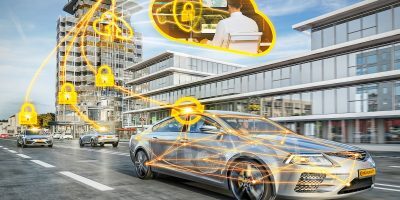 He suggests talking about driver assistance and advanced driver assistance, while reserving the term “autonomous” for when there is never a driver involved. Now see what happened on Day Two.